With finals coming up for college students, I wanted to share 5 albums that help me study. Read Jazz for Midterms and Jazz for Studying for my previous suggestions. The Ellington Suites collects three suites composed by Duke Ellington for his orchestra: Queen's Suite, Goutelas Suite and Uwis Suite. Ellington wrote "Queen's Suite" for Queen Elizabeth II. This album is perfect for studying because Ellington's themes are jubilant and reflective. This joy, along with the cohesive sound of his jazz orchestra makes a perfect backdrop to do chores or to help write an inspired paper for an English class. 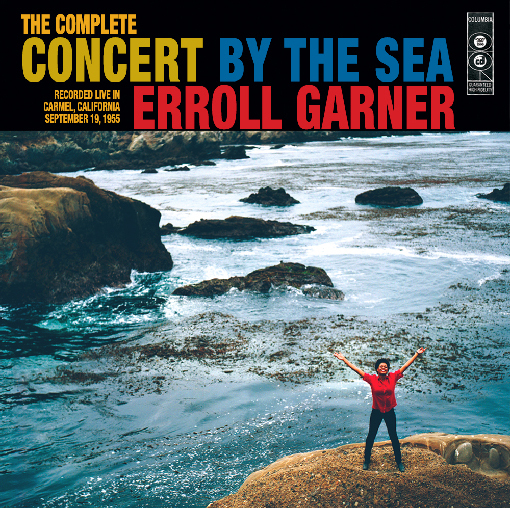 Concert by the Sea is a live album by pianist Erroll Garner, and probably his most well known work. What's amazing about this album is that it wasn't meant to be recorded officially - Garner was playing for soldiers at a military base, and someone happened to be recording the concert on a tape recorder. The end result is magical. The live nature of the album gives each track added energy, which makes it great to listen to while reading a textbook or looking over notes. Garner's unique sound is crystalline, and helps me focus while doing my work. Someday My Prince Will Come is a studio album by Miles Davis on Columbia Records. This album combines Miles Davis' original songs with well-known pop songs, such as "Someday My Prince Will Come" from Disney's Snow White. Sometimes the hardest part of exam season is the stress and anxiety. This album is lyrical and expressive, making it perfect to clear your mind before a big exam so you can do your best. Brubeck plays Brubeck was Dave Brubeck's first solo piano album, and was actually recorded over two days at Brubeck's own house. The album consists of all Brubeck originals and contains some of his most famous works, such as "In Your Own Sweet Way." Brubeck's playing on this album is cohesive and expressive. I especially love to listen to solo jazz piano while studying. Solo piano provides clarity and reminds me of classical music - Mozart, Beethoven, Chopin, Bach and Schubert are some of my favorites. This album's subdued nature would be perfect to listen to while doing a school project. Sweet Rain features Stan Getz on tenor saxophone, Chick Corea on piano, Ron Carter on bass, and Grady Tate on drums. Unlike Getz/Gilberto which features bossa nova music, Sweet Rain is straight-ahead jazz and features freer improvisation. Getz's tone is often called "The Sound," since it is full, round, and wispy. This album is perfect to listen to while writing a paper, since it has a searching and passionate quality to it. This quality could inspire any student needing to write a 5-10 page paper - or even the procrastinators needing to get work done right before class! Good luck to everyone taking finals!